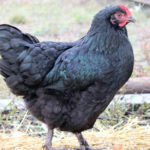 We have had a number of people ask about our Blue Marans. 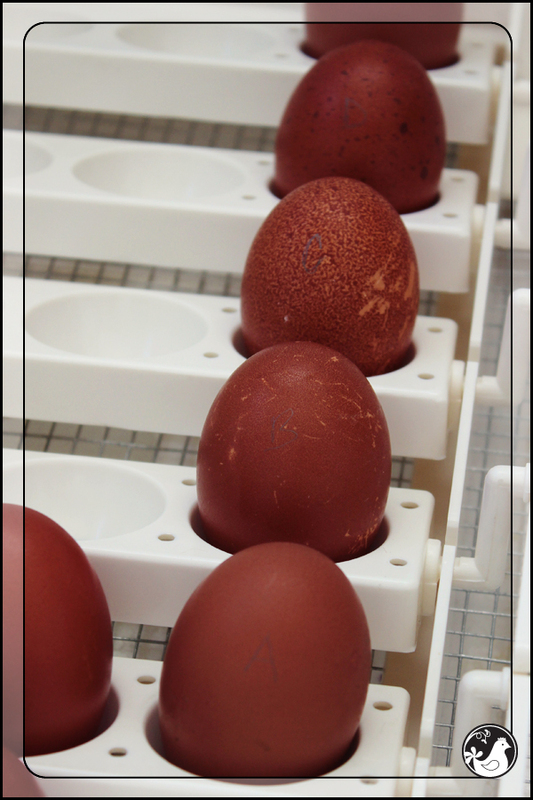 In answer to that question here is a quick post on how we produce these dark brown egg layers. 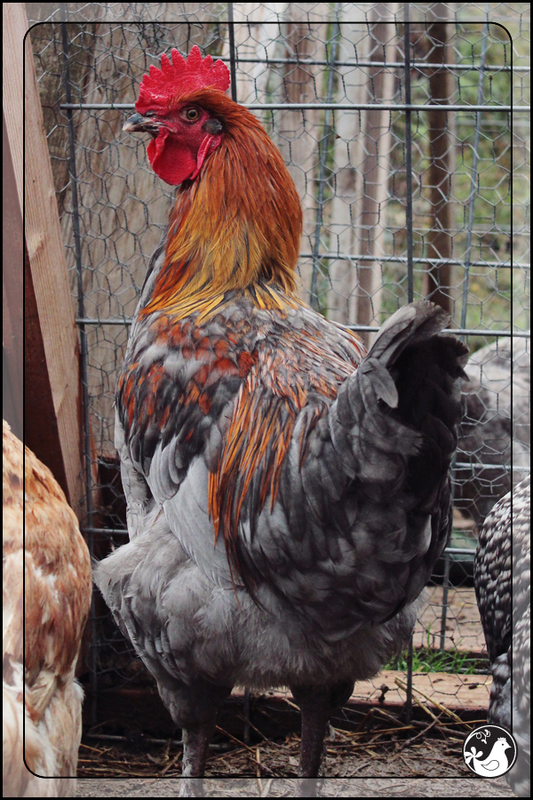 Blue Marans are not listed in the French or American standard. 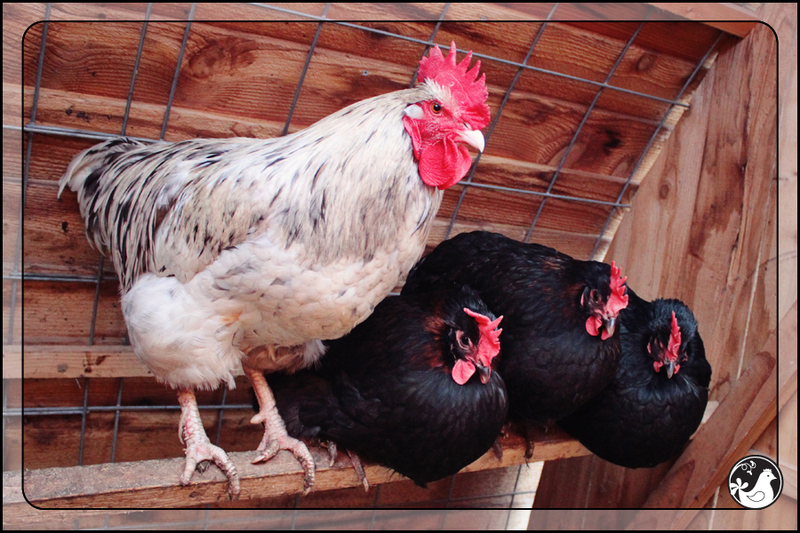 Blues do not breed true, meaning breeding two Blues does not always result in Blue chicks. The Blue gene is dominant and dilutes black pigment. It can dilute the black to a gray(Blue) color. It can also dilute even further producing a white bird with the occasional blue feather, a coloring known as Splash. This dilution does not effect the gold/red pigments. Therefore, any copper coloring will stay. 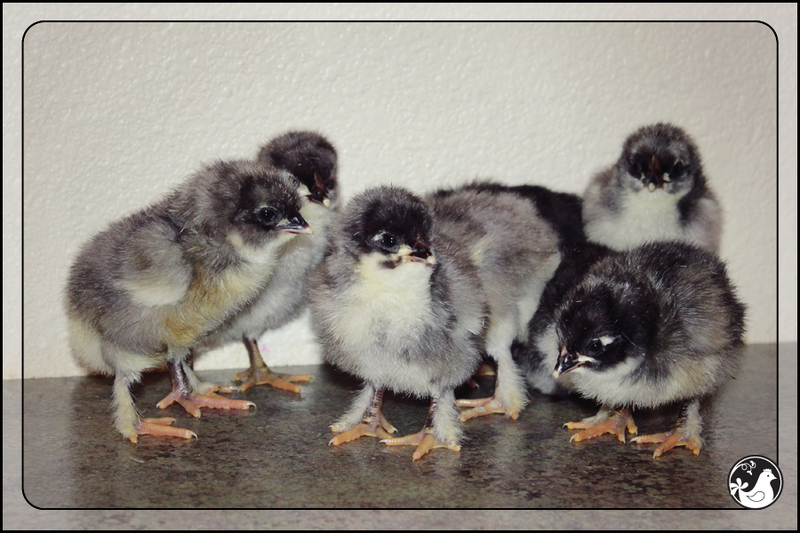 Daddy is a Splash Marans & the mom’s are Black Copper Marans. 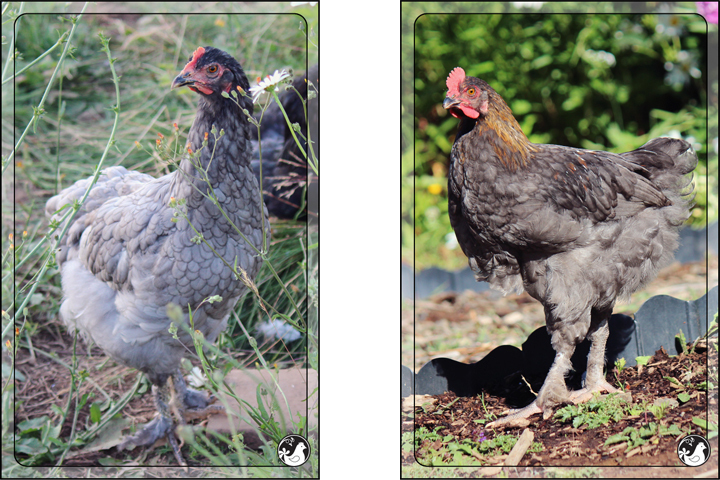 A Splash crossed with a Black Copper results in Blue Copper Marans. They are a handsome foursome. 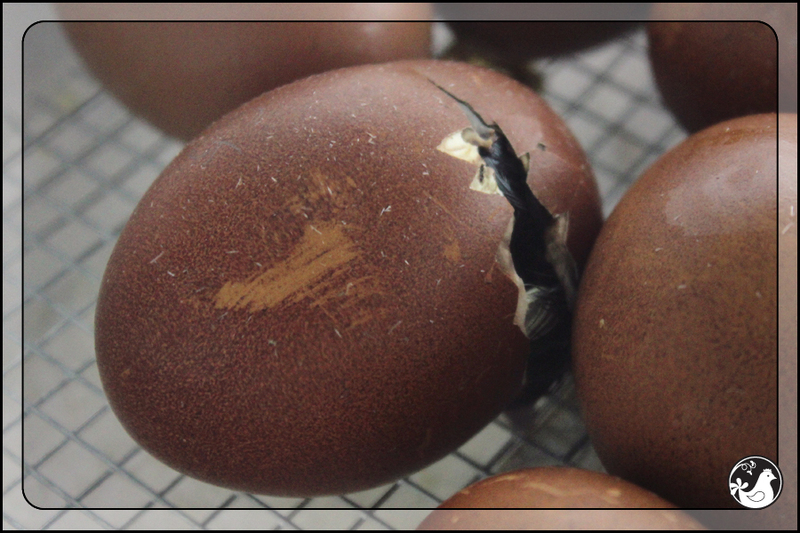 The Black Copper Marans hens layed these dark brown eggs, which were then placed in the incubator. 21 days later we had baby Blues. So stinking cute! 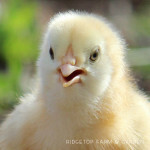 About 85% of ours hatch with feathers on their shanks. 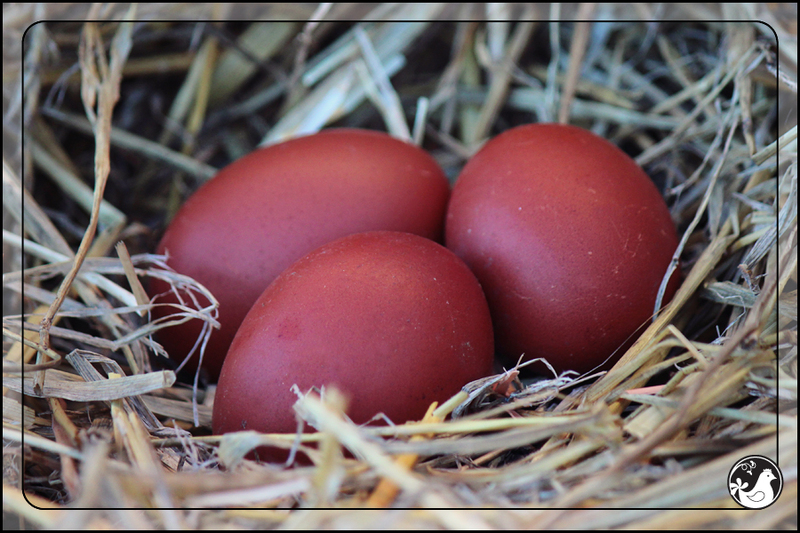 The pullets have recently started laying these beautiful eggs. 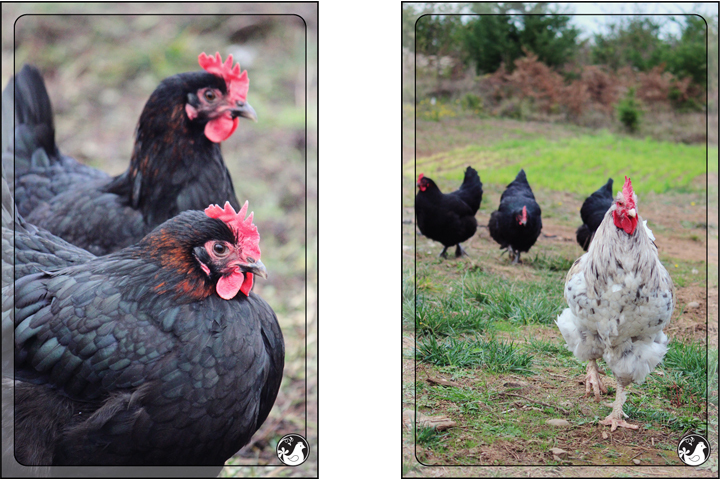 We kind of stumbled across Marans by pure luck. I’m glad we did. 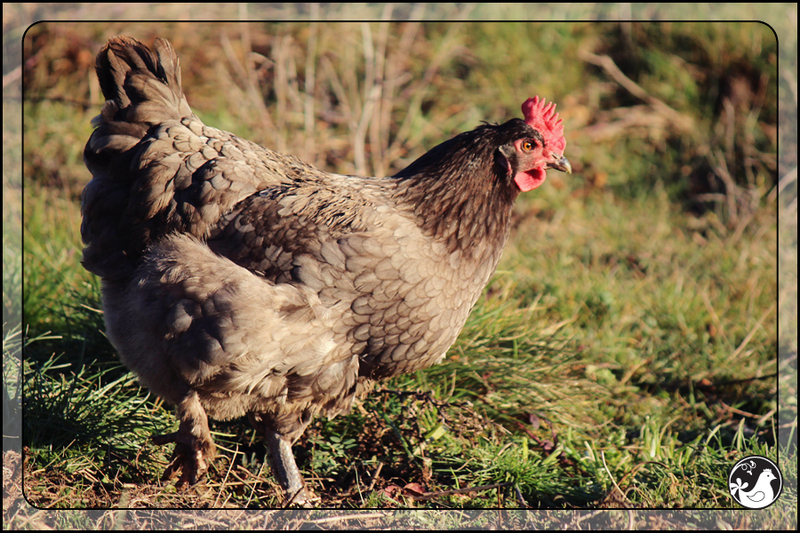 Although they aren’t my favorite breed, they are a great addition to our poultry park. When they are laying, they are consistent. But when they decide not to lay, this can go on for quite some time. 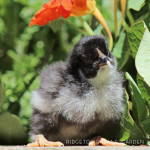 Our Marans tend to go broody a lot. However, they are horrible at caring for their little ones. 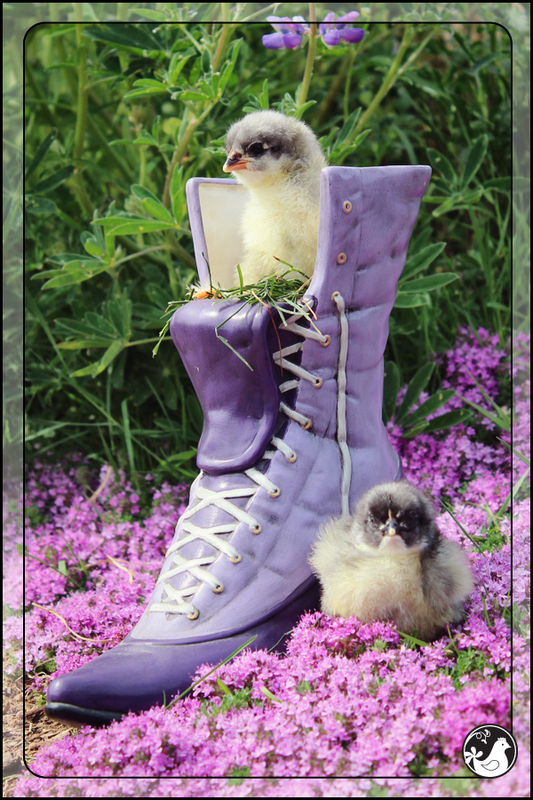 I’ve banned all our Marans from sitting on eggs. 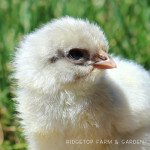 If we want Marans chicks, we use the incubator. 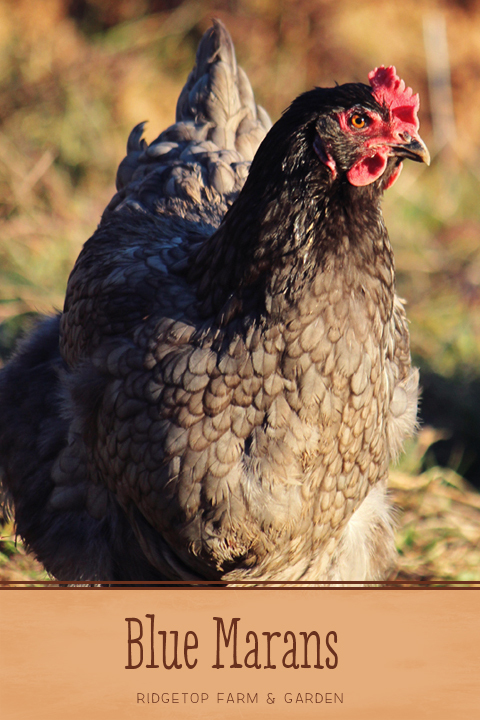 Of course, my favorite thing about Marans are the lovely chocolate brown egg they lay.